French toast might actually be one of the best things ever invented. To test that theory, I dedicated many a weekend brunch after my morning runs in Central Park to the cause of sampling French toasts around New York. Granted, that probably voided the entire point of going for a morning run, but it was clearly worth it. 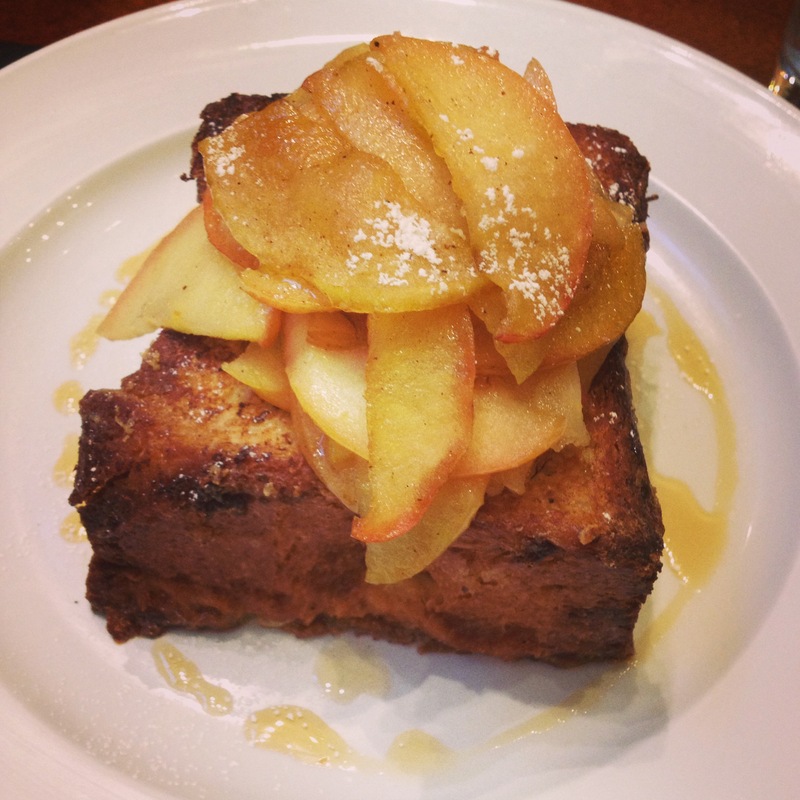 The best french toast I have ever had – the thing doesn’t even taste like french toast, more like bread pudding. The place also has at least 5 other similarly creatively named french toasts including the Donut Even Go There French Toast (yeah, I believed them, so I didn’t), the Super Cheesy French Toast, the Chocolate Decadence French Toast, the Crunchy French Toast, and the Foie Gras Brioche French Toast (I said they were creative). 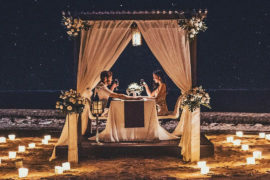 On an unrelated note, they also have a Zillion Dollar Lobster Frittata in “super size” for $1000 and they have a little note to the side daring you to expense it. I like a restaurant with a sense of humor. We stumbled upon this one when I was showing a friend from Australia around New York, and it started pouring with rain (as it did every second day that month), so we ducked into the nearest cafe, and by cafe, it’s really more of a restaurant than a cafe. I’m starting to realise at this point that the best french toasts don’t even taste like french toast, and are giant square slabs at least an inch or two thick. This one is on par with the first one, complete with roasted honey-crisp apples on top. Even the guy dining alone at the next table agreed that it was amazing, he literally turned to us three times to gush about his french toast. You know it’s serious stuff when strangers bond over french carbs. So this one isn’t even really supposed to be a french toast, but I asked them if they could swap out the waffle for french toast at the recommendation of a friend who had been there. They don’t go easy on the berries which was a huge plus. 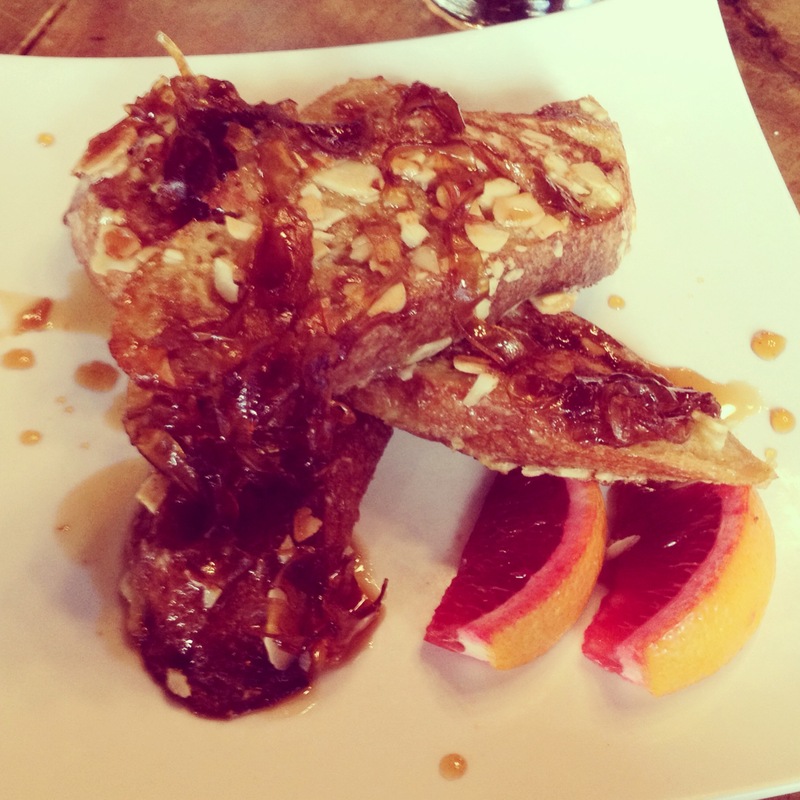 No words – who knew greek yoghurt and muesli worked so well on french toast. Just make sure to edit the menu and demand berry good french toast. The booths here are made to look like a bus stop. It’s just a really cute cafe, and great for people-watching in the West Village. I had been systematically working my way through food places in a wider and wider radius around my apartment. So many options, not enough meals in a day. This was a rather interesting interpretation of french toast – not the usual choice of bread and the almonds were caramelized onto the side. A completely different take to the previous ones but worth a try. The place has a really nice rustic feel to it, I suspect it would be great for dinner. 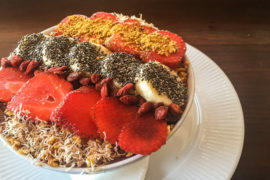 This one is back to basics, and the “healthiest” option if that exists with french toast. 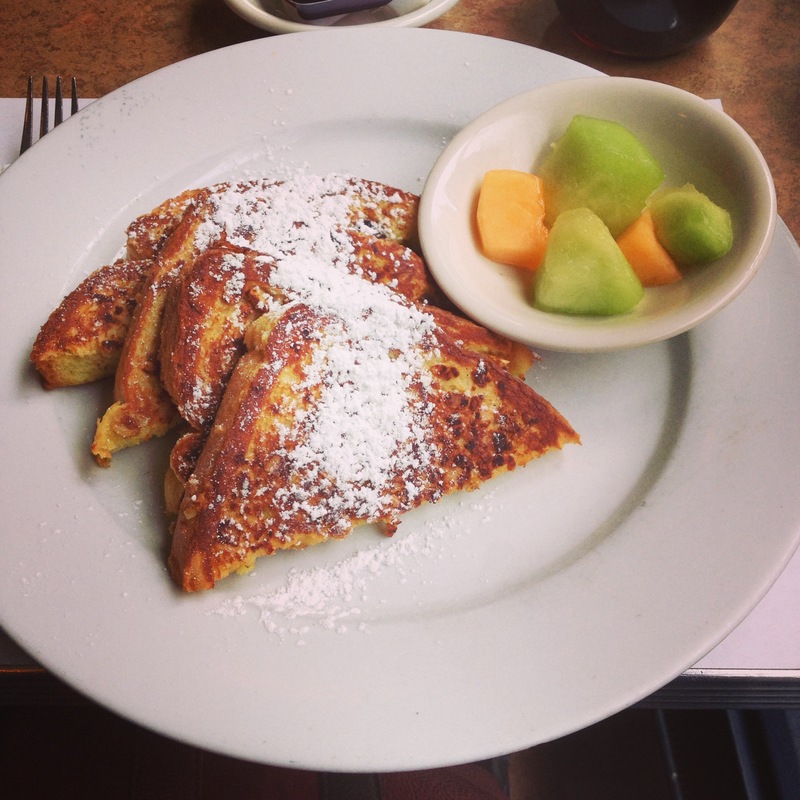 A diner with a lot of pancake variety (wholemeal as well), less variety with french toast, but you get exactly french toast, with fresh melon on the side. The icing sugar is a nice touch. From memory, it opens earlyish, and it’s dog friendly, hence the name. There’s even a fire hydrant outside. Great post! 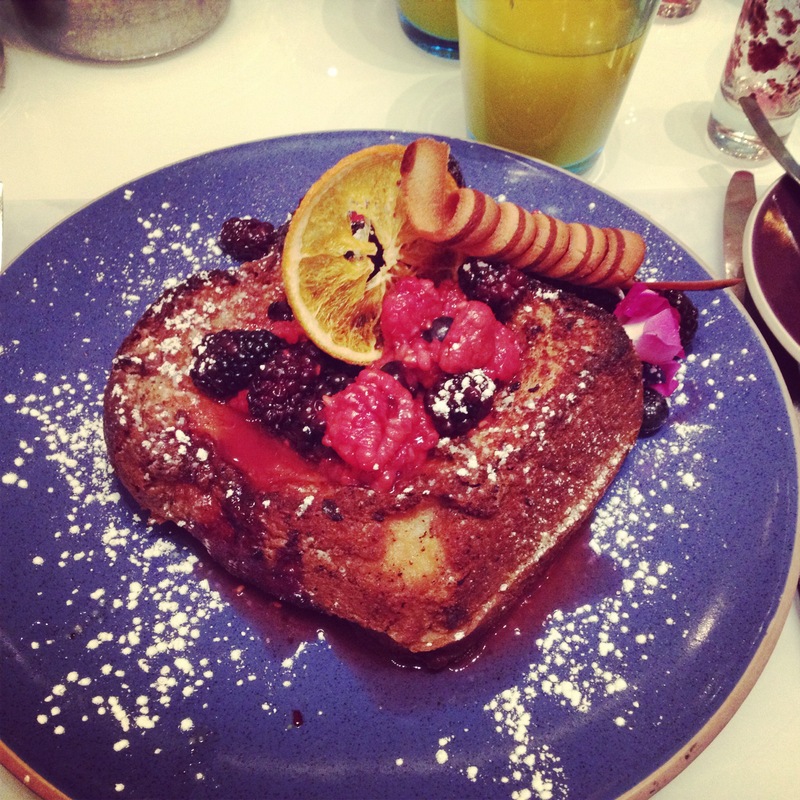 You should try the French toast at Thalia: it is a creme brûlée French toast! Thanks for stopping by! Wow defs will sometime, two of my fave desserts rolled into one, sort of like a cronut! You win at life! 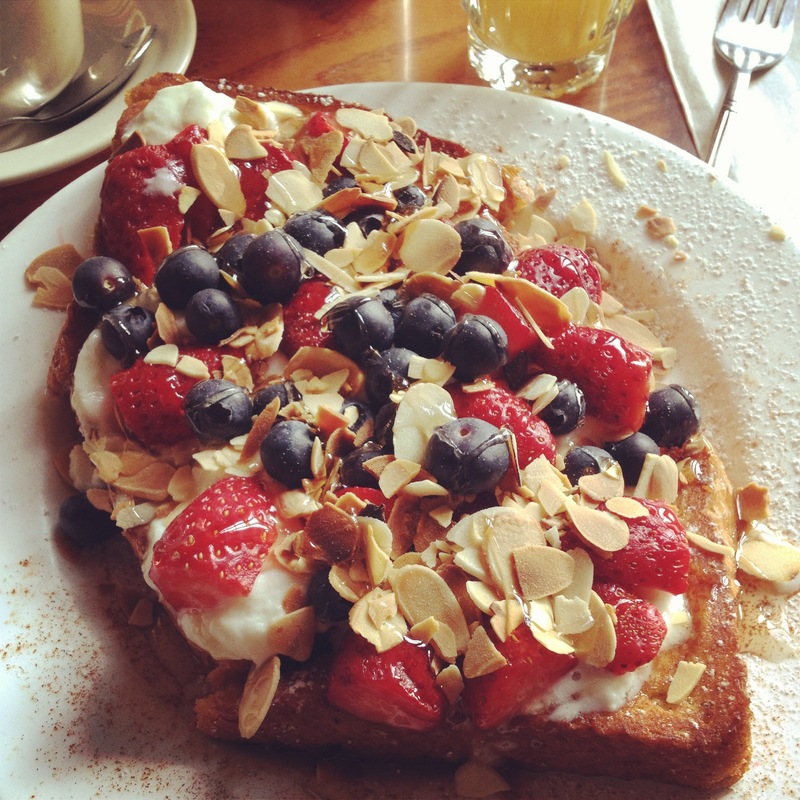 French toast is my favorite breakfast or brunch item ever, and this is a fabulous list. Great photos too. Thanks for sharing! Thanks Andrew! Glad you enjoyed reading! 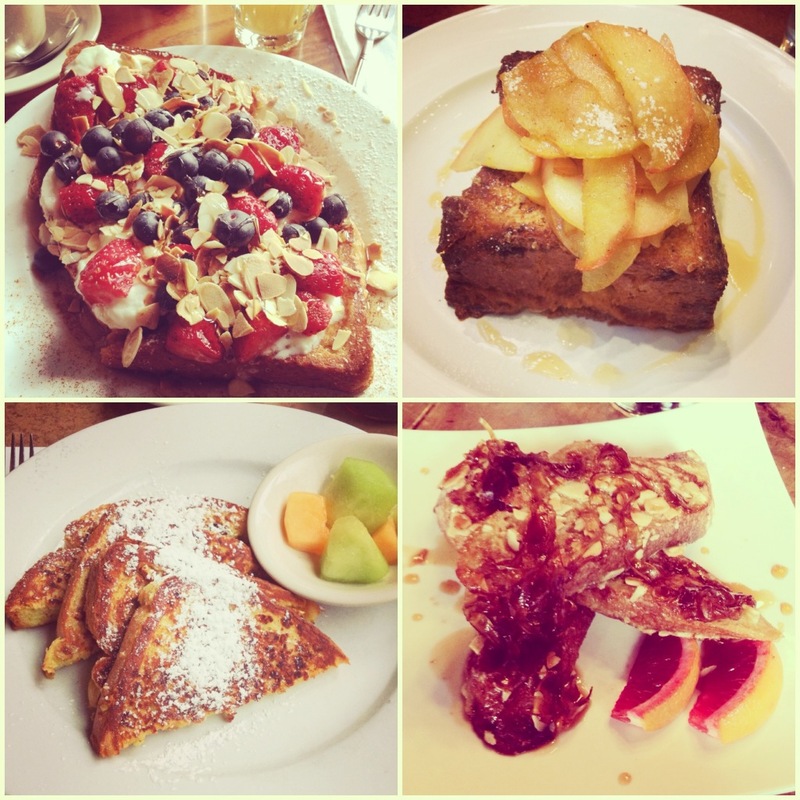 French toast is definitely at the top of my breakfast foods list. Thinking I need to do other cities too (or just an excuse to eat more of it).